Well I was kinda inspired to draw another pic of a female squire. And then I decided to try using some colored pencils on it. I really don't know anything about pencils and pens and such so I just bought some that I thought would be good. The pencils turned out to be really bright but I think they fit the mood of the pic just fine. Sadly my lack of a good art editing program kinda screwed up the pic. It could really use some smoothing and touch ups. very nice. 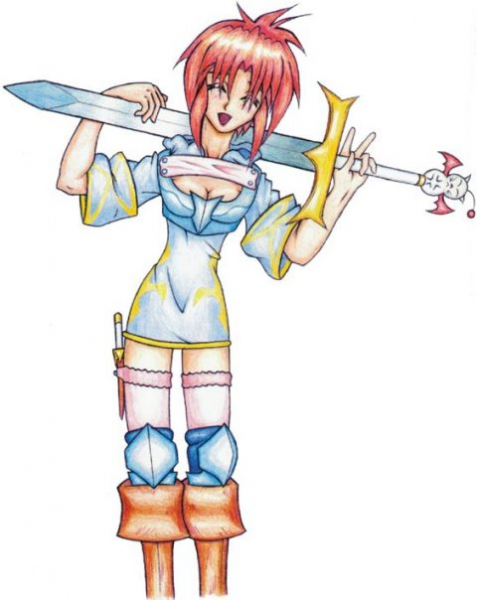 I wish my squires in FFT had swords like that one.